I didn't buy this portrait of FDR, though I quite liked it. It was kind of expensive; there was some paperwork detailing the provenance that was somehow meant to justify the price but since it wasn't something readily googleable, I passed. I am a known houseplant murderess, which is a drag considering what an important role a few well-chosen plants plays in attaining that midcentury-to-1970s design vibe. But I shouldn't really have plants in good conscience, and I certainly can't have bonsai. The guilt of tossing a snake plant (a.k.a. mother-in-law's tongue) after a year of hard duty in my sun-scorched house and simply replacing it with another $10 specimen from Home Depot pales next to killing one of these ancient jewels of the herbaceous world, the product of millennia of painstaking study and artistry practiced in various parts of Asia since at least the 6th century. Though I do get tempted. There is an elderly gentleman in my neighborhood who sells bonsai from a rickety old book case in the gas station parking lot across from the middle school. (Normally a place you'd expect to see a taco truck in these parts, but, no—bonsai.) But I resist and make do with adorable books about adorable bonsai, like Bonsai Miniatures Quick & Easy published in 1973 by a fellow named Zeko Nakamura, described as a Zen Buddhist acolyte-turned-famous-movie-and-television-comedian. And renowned bonsai expert of his day, apparently. 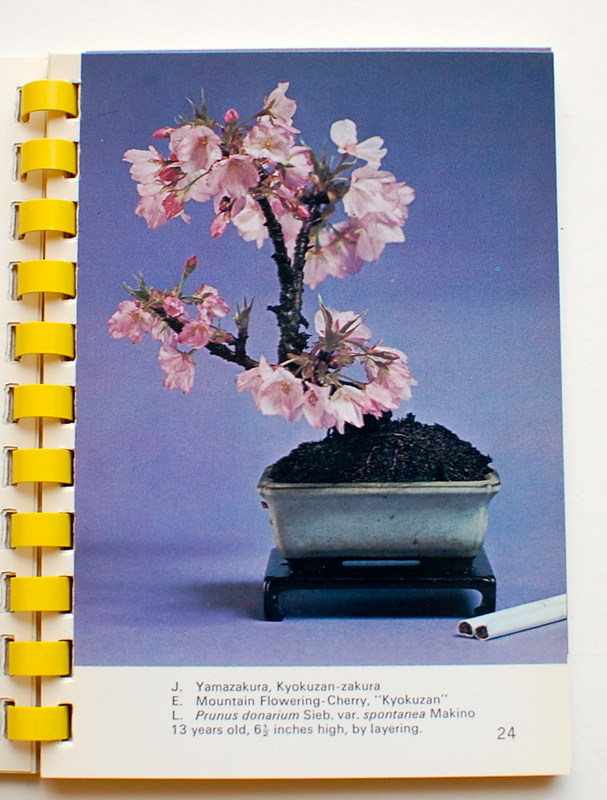 But what I really love about this book is the way the bonsai have been photographed alongside cigarettes, matchbooks and attractive men's watches to show their diminutive scale. Genius! Note the matchbox next to the bonsai containers. Yes, that's how small they are. I want to eat these containers they're so dang cute! Cherry blossoms and ciggies. Another freaky juxtaposition. I was born in 1968, which makes me a true child of the ’70s. I was two when the dazed-and-confused decade began and 12 when it ended. I guess that means that I "came of age" in the ’80s (does anyone come of age outside of novels? ), but I formed my aesthetic in the ’70s. 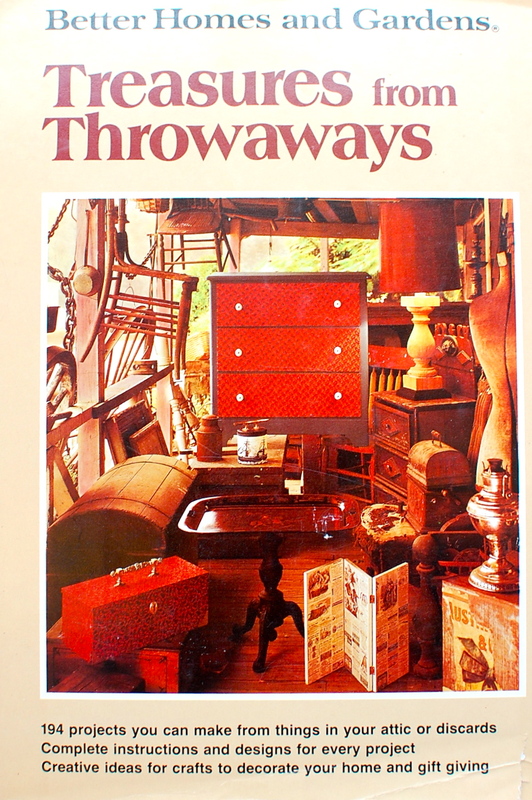 At least that's what I've been telling myself these last few years that I've been obsessing over vintage decorating books, especially those of Sir Terence Conran. 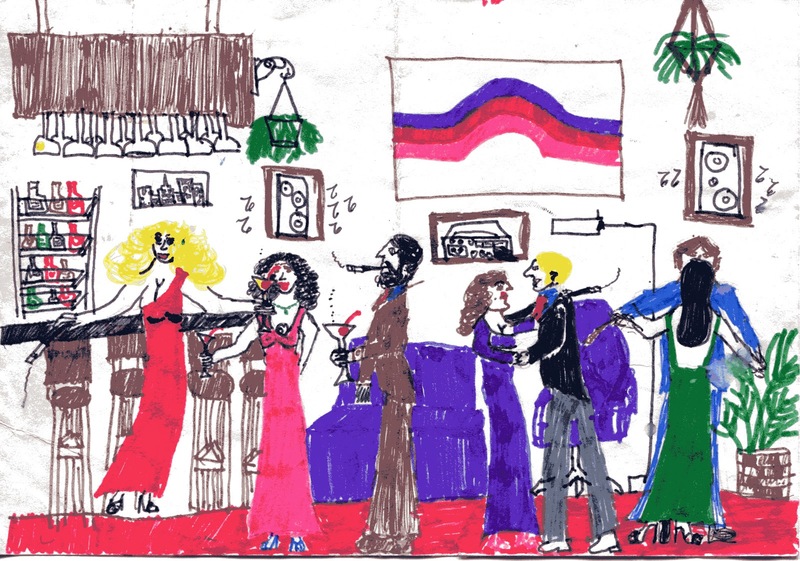 And finding this detailed illustration of what looks like a Studio 54 after-party in some old box in one of my parents' many storage units confirmed that notion. Yes, people, I am the wielder of the Flair pen who created this marvelous time-capsule drawing on a 5" x 8" sheet of notepaper, most likely in sixth grade. Take away those swingers with their Halston dresses, ample cleavage, martinis and cigarette holders and you have yourself one hell of an estate sale—or a page out of any of Conran's house books. Note the fully stocked bar, the Marimekko-style wall hanging, the abundant houseplants (in wicker! and macrame! ), the built-in hi-fi, the purple-and-red color scheme, the Arco-style floor lamp... and is that a picture of the Manhattan skyline over the bar or an actual window? It is most definitely a window into the consciousness of a certain New Jersey middle-schooler: Moving into a rad pad in NYC, something out of Apartment Life magazine, was my dream. And I did end up living in (many) NYC apartments, but funny how my home didn't start to resemble this ideal till I moved to Texas. Make of that what you will. Stripes and stripes forever! 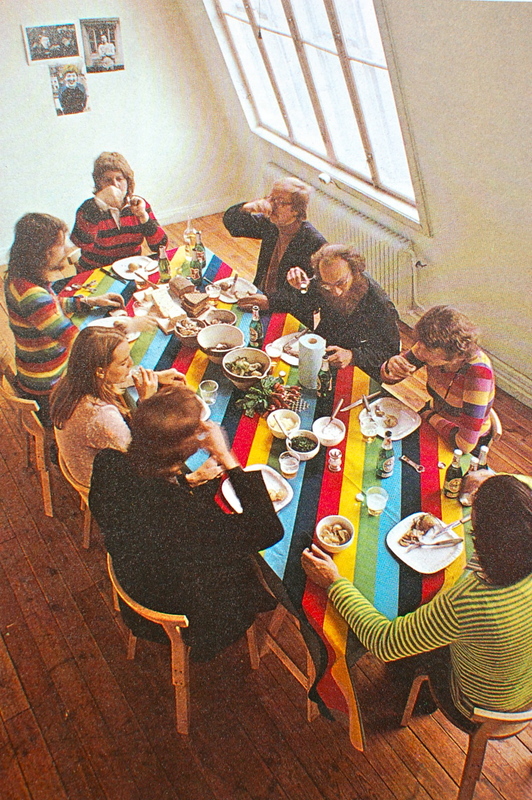 From Conran's The House Book. Treasures from Throwaways: possibly the best vintage craft book ever! The secretarial pool is no place for a standout like [this] typewriter. Instead, this old machine has joined the executive ranks and now functions as the most unique message center a family ever had. 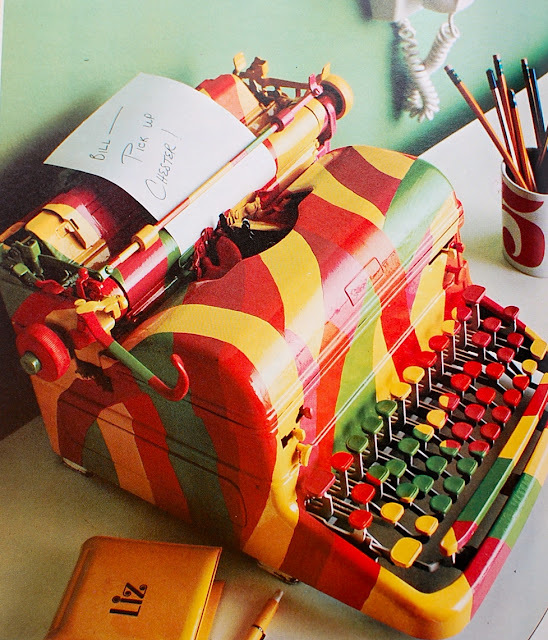 If you think painting a typewriter is a lot of work for just a message center, think of it as creating a piece of pop art—and sign it! Well, now that is waaay too much work for me, but then I never actually craft any crafts (unless they involve walnuts or pinecones and googly eyes)—I just like to gawk at books like these. I do think this typewriter message center is magnificent, just perfect for one of those pared-down "landing strips" you see touted in the shelter mags and on design blogs. Really, I love everything about that photo, including the prop styling (who is Liz? Who is Bill? Who is Chester? Why does that mug have a "5" on it?"). But as an erstwhile fancy magazine editor, I find this craft project more poignant than loopy. 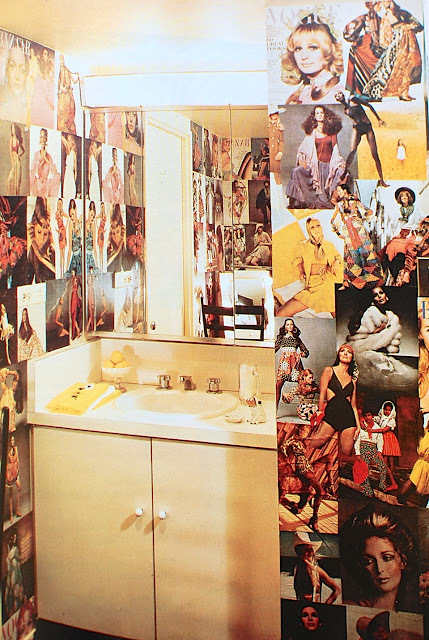 Who even reads magazines now let alone wallpapers their bathroom with clippings from Vogue? This actually reminds me of what my bedroom walls looked like back in the 80s, and, come to think of it, the cork walls I've had in various former offices. Though the book instructs crafters to "preserve your 'cover' job with a clear protective finish," which would make sense in a bathroom (think what the moisture would do to this collage), they also say you can "leave the magazine pages as they are for quick patch-ups—adding new pages to fit your fancy and to maintain the fanciful wallscape." Madness. Paging through the book now, I'm not sure why I chose to feature this TV Tube Chess Set instead of various other crazy crafts (I might have to continue this post in the near future with more pics). 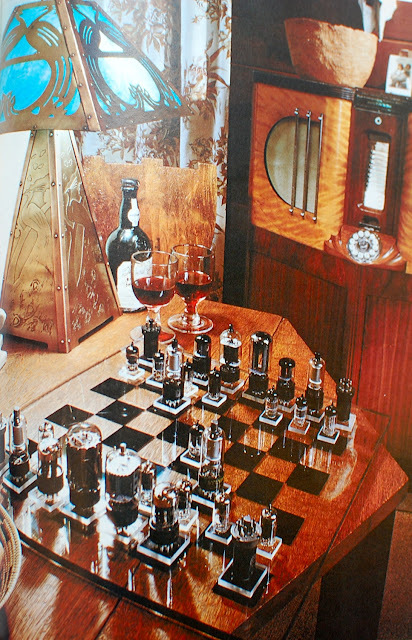 I guess it was just the idea of someone actually having access to TV tubes, let alone transforming them into a chess set. But according to the editors, it was no big thang: "A check at any TV and radio repair shop will net you all the old tubes you want." If you say so! An old Victrola will never replace stereo or TV as entertainment, but as a teen-age party center it's still "the cat's pajamas." Or, in latter day linguistics, it's really cool! To put it in latter-day linguistics, LOL. I guess it's no surprise that I didn't post a single missive from my annual summer trip back East. 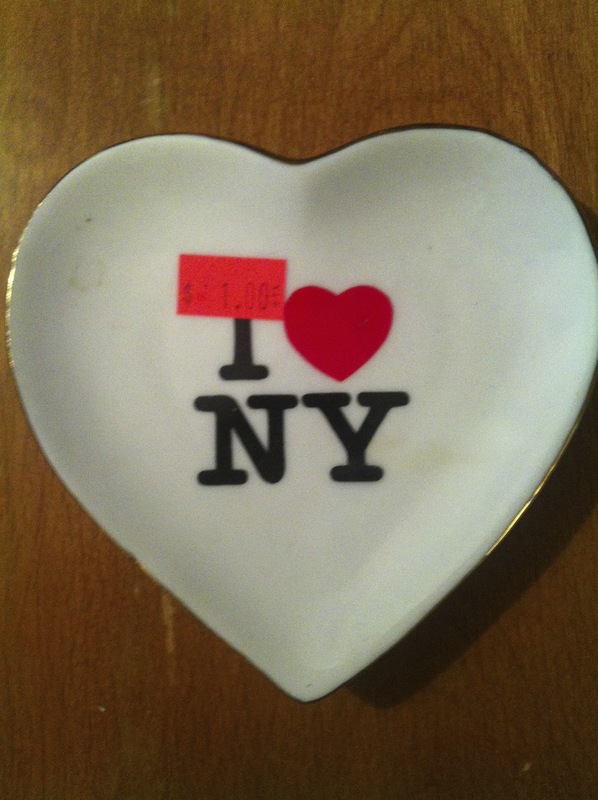 I was much too busy, cavorting in lakes and municipal pools by day, watching Pawn Stars and Storage Wars by night. I managed to squeeze in a little thrifting, as well as to squeeze a few scores into my overburdened suitcase, and now I wait for my parents to box up and send me the rest (what's taking so long, guys??). This past week, in between shuttling my kids between their various camps and shuttling my various dogs between their various vet appointments, I made some excellent purchases at the local thrifts and used-book stores. Expect to see some exciting new inventory at the etsy shoppe, as well as some seriously superconsistent posting here at Thingummery HQ.